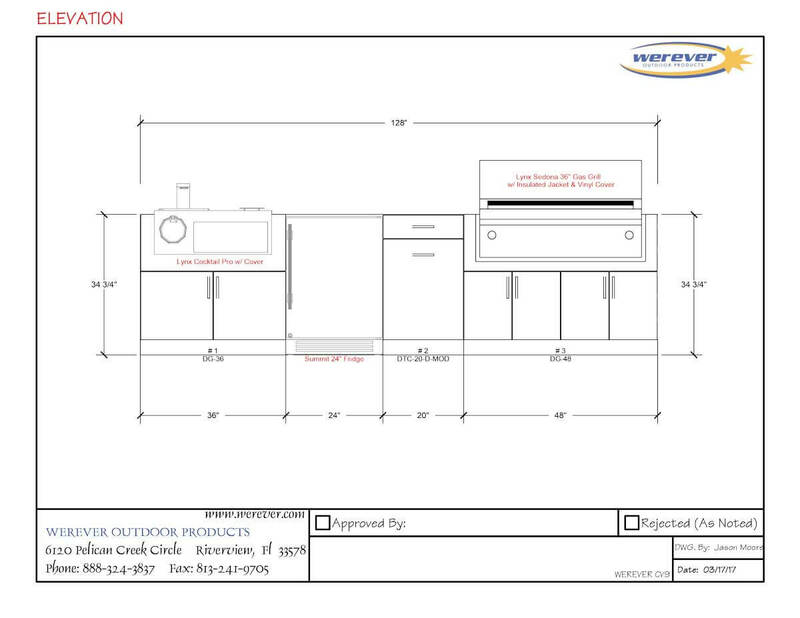 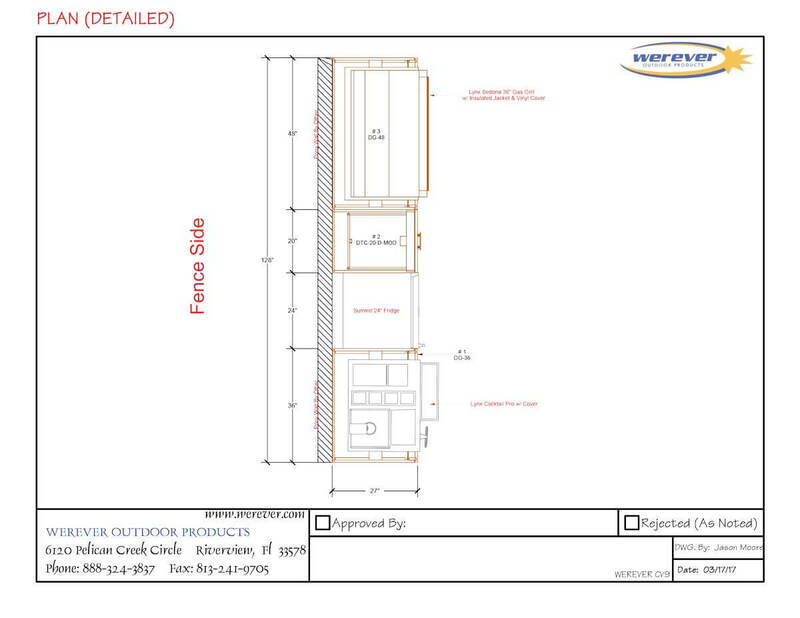 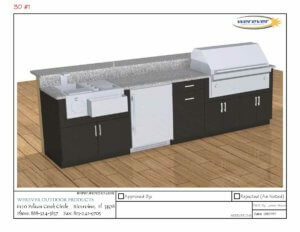 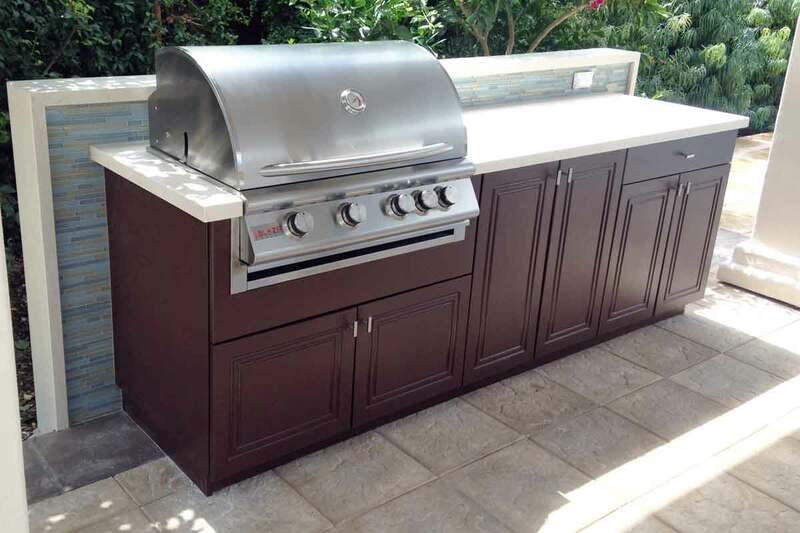 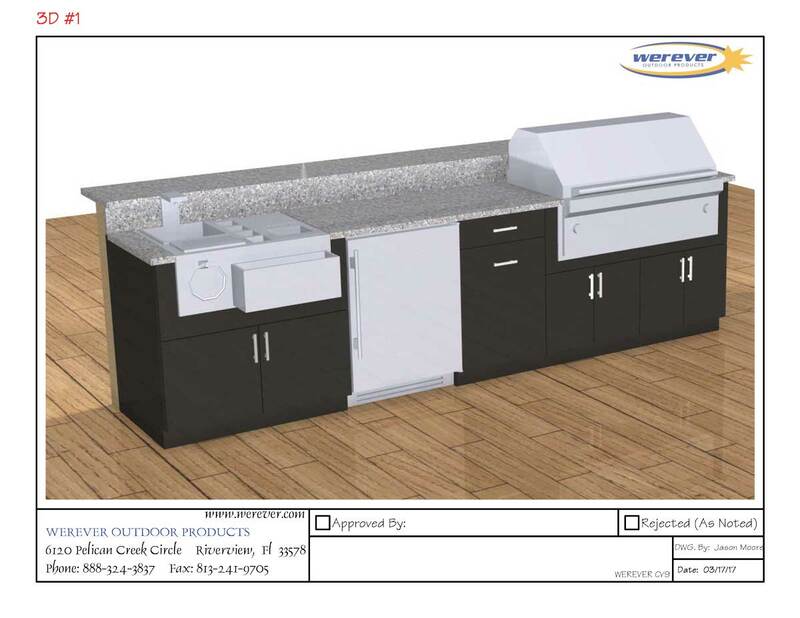 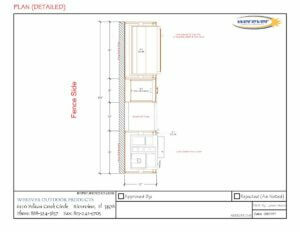 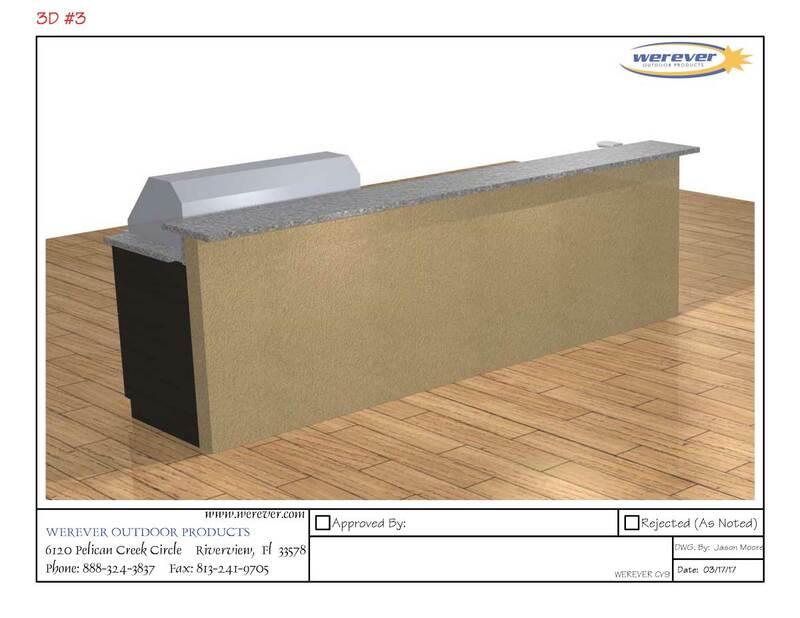 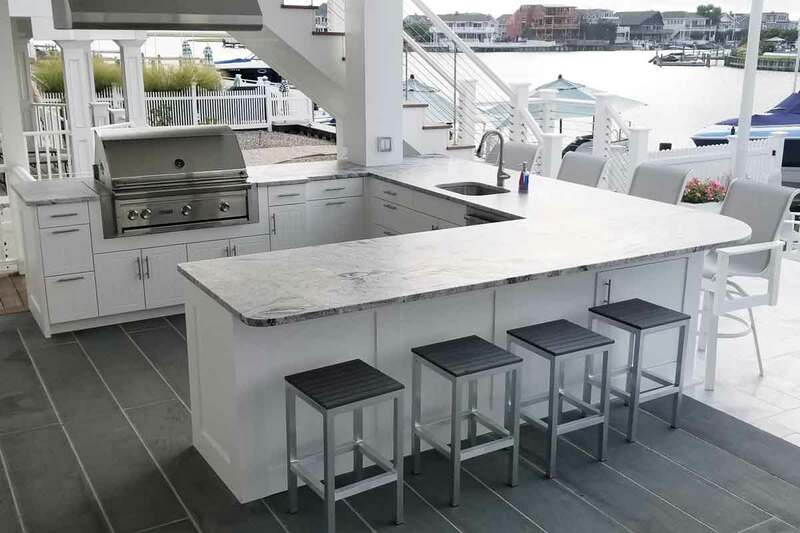 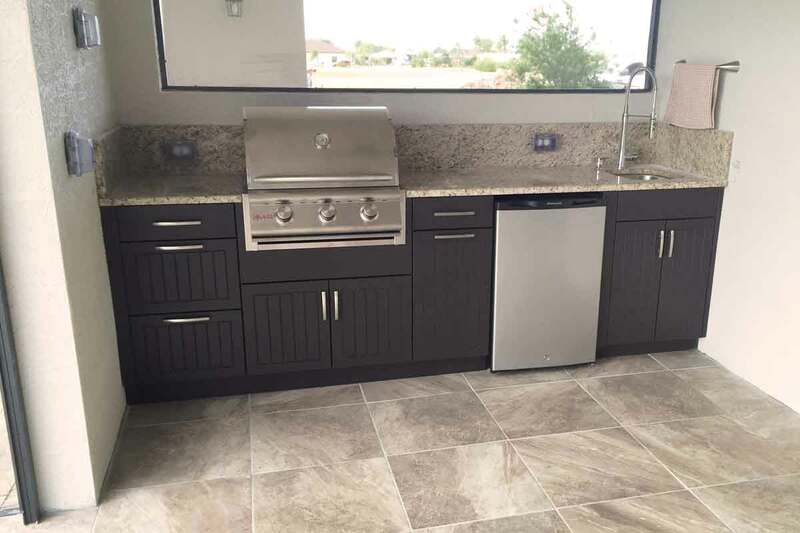 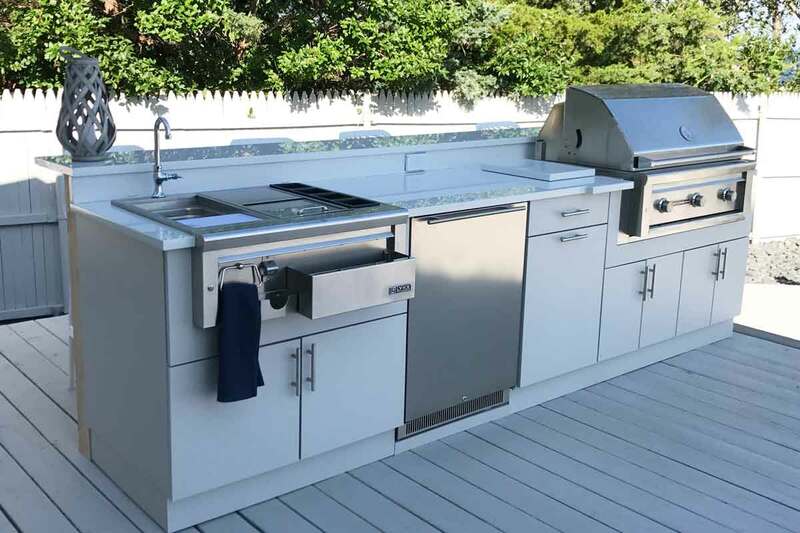 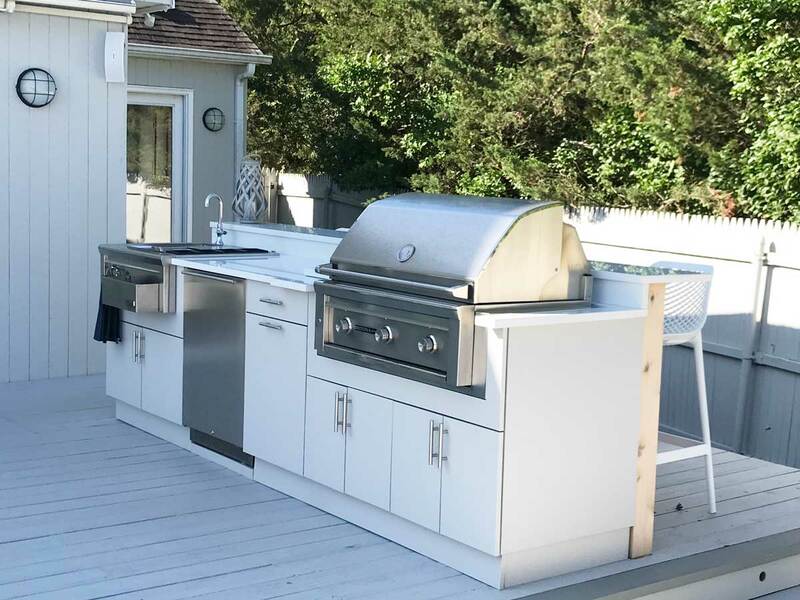 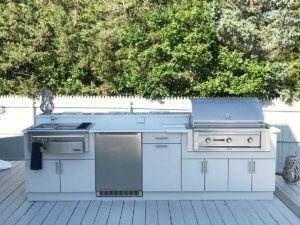 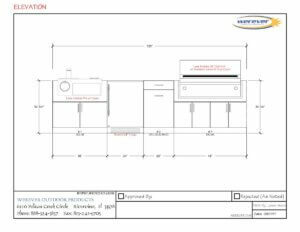 On this 10’-8” outdoor kitchen design the customer planned to frame a bar seating half wall and was looking for a small cooking and entertaining run of cabinetry. 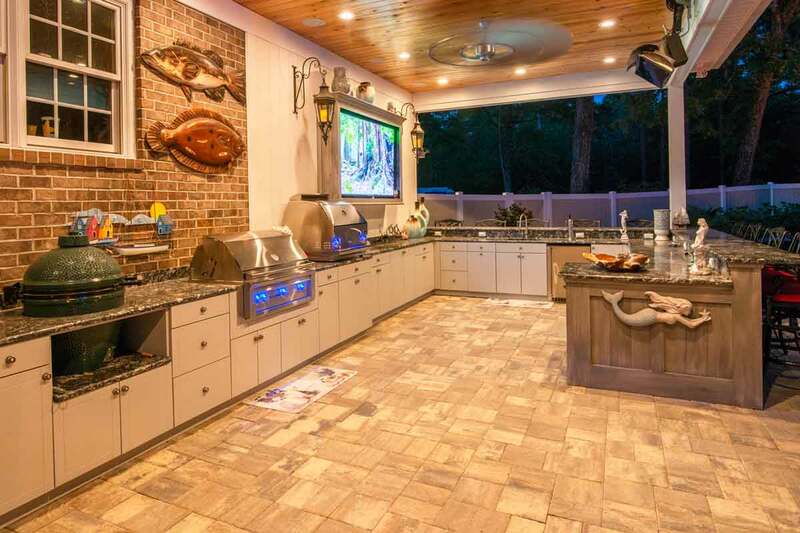 This was achieved by end-capping the kitchen with a bar center on the left and a grill on the right. 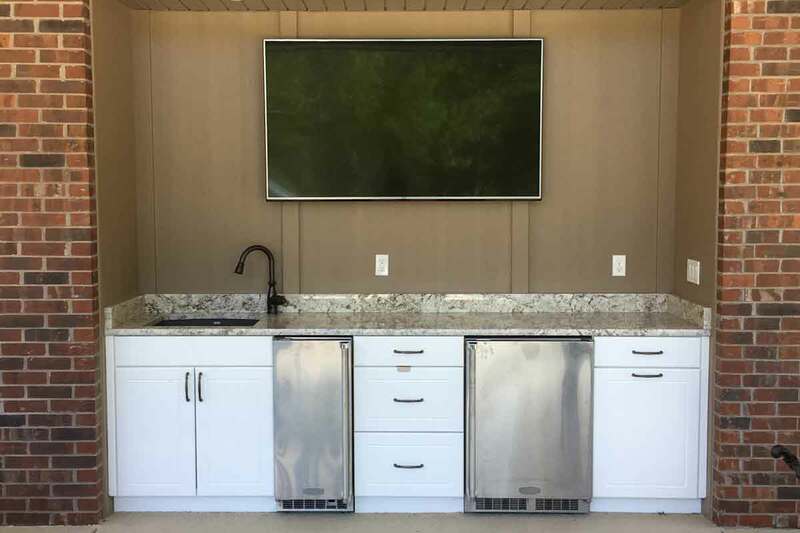 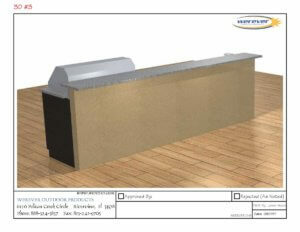 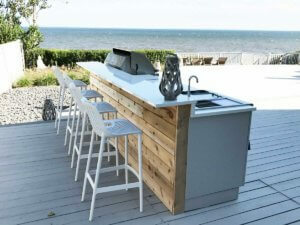 Between them we designed space for an undercounter refrigerator and a double pull-out trash outdoor cabinets. The kitchen was finished off with exquisite Lynx products and a wood planked bar seating wall for a very stylish beach appearance.